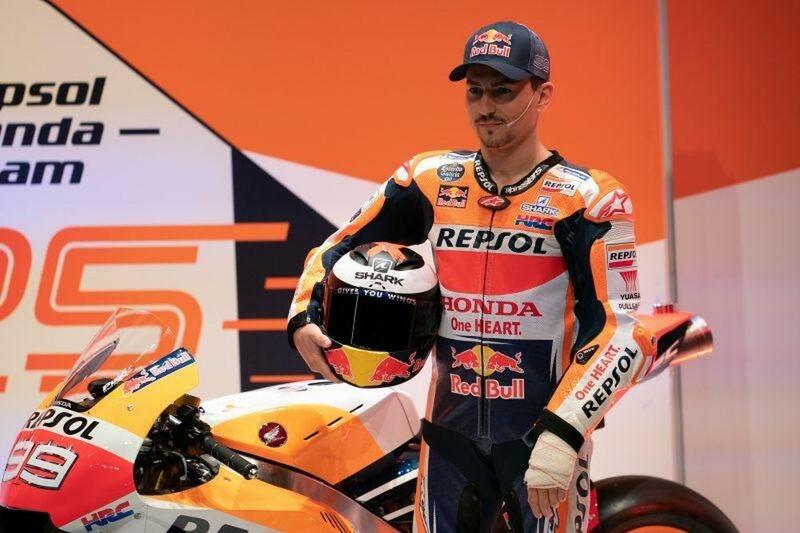 Repsol Honda will boast a stellar rider line-up in the 2019 MotoGP season, starring Marc Marquez and new signing Jorge Lorenzo. Jorge Lorenzo is relishing every aspect of being a Repsol Honda rider as he braces himself for a fresh challenge in 2019. The three-time MotoGP world champion left Ducati to team up with title-holder and fellow Spaniard Marc Marquez ahead of the new season. And the former Movistar Yamaha rider concedes everything about Repsol Honda is different from his experiences with other teams. "To sum it up, it is a different level. A new level," said the 31-year-old at the team launch on Wednesday. "I believe I have been lucky with other teams, but to come to this Repsol Honda team is a new level in every sense. You can see it in the presentation with the amount of journalists and media we have here and the expectations. "When we talk about the technical aspect from Valencia and Jerez I saw so many people in the box listening to what I had to say about the motorbike and the same details. The precision of every single part of the motorcycle and the quality here is a different level. "That is one of the dreams for any rider to be in this team. I have come here a bit late as I am 31 years old, but I am already mature enough to take advantage of all of these experiences." Lorenzo will sit out preseason testing in Sepang after undergoing scaphoid surgery, with teammate Marquez also on the comeback trail after having an operation on his shoulder last year. The reigning champion knows how important it is for him to be primed and ready for testing next month. "I want to be ready for Malaysia because we are both injured," he said. "So it's important for us to try the new parts et cetera, somebody has got to do it. "Being in this team means fighting for victories, podiums and the championship. If not, it's actually failure. You can talk about 'dream team' or whatever but the results are what's important. So we hope we can celebrate something beautiful at the end of the year."